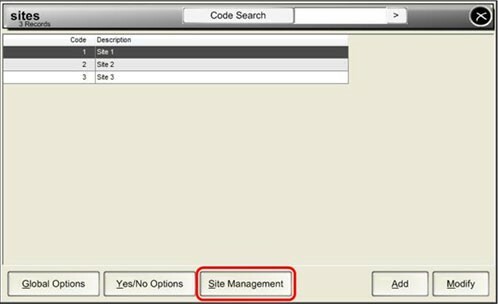 The Multi-Site Management module allows for advanced control and functionality in a multi-Site environment. It will give extra controls for managing Head Office, Company Owned and Franchise Sites, with the ability for Inter-Store Ordering and Invoicing. Multi-Site Management will enable control for businesses in varying environments. This feature is designed specifically for businesses that require control on Company Owned and Franchise Stores direct from Head Office. Create Stock Items for individual Sites – This will give each site access to all functions of a standard Stock Item, including 12 price levels, individual cost prices, indirect links, suppliers, printing options and more. Control Site access to parts of the program – This will ensure that the Sites will only see the data that you want them to see and nothing else. Control Global, POS and Yes/No Options for all Sites – Full control of each Site. All options can be individually tailored for the specific owner/operator. Email settings, End of Day time, Company Logo, POS Server, Finance settings, Restaurant, Purchases and Tax Settings can all be individual to the Site requirements. Reporting by Site – Breakdown of each Site’s figures. Not available on all reports. Can create additional access control by assigning specific User Permissions to each Site, or User Type.